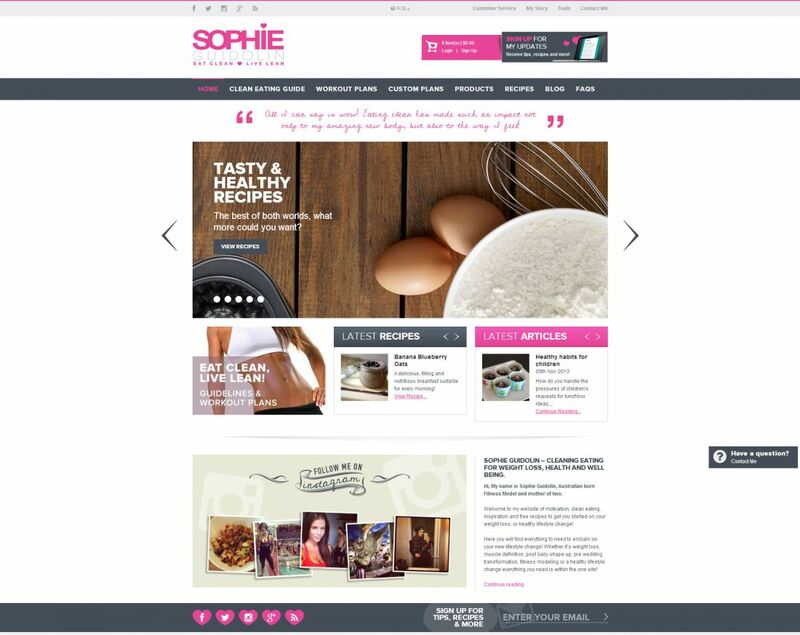 Sophie Guidolin required a website redevelopment to bring her marketing & e-commerce websites together into one seamless solution. 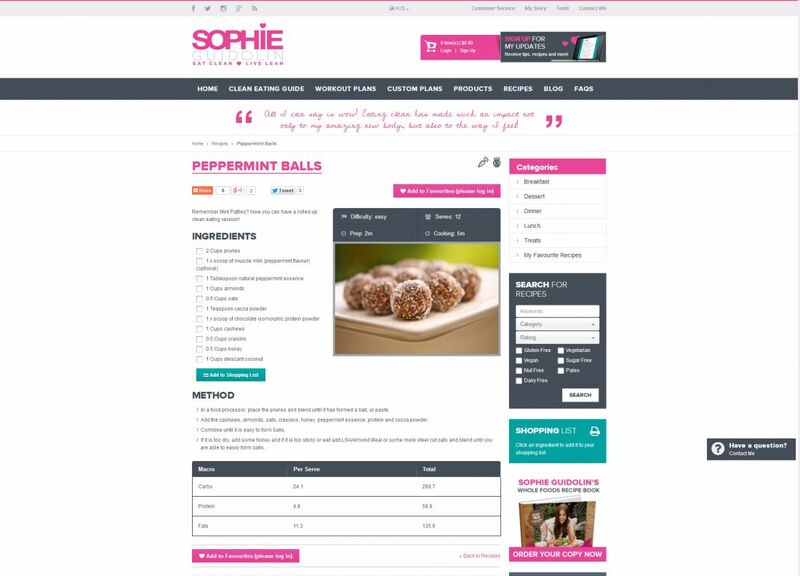 NBM delivered a customised website development package that showcases Sophie's inspirational clean eating guides & workout plans & amazing healthy recipes. 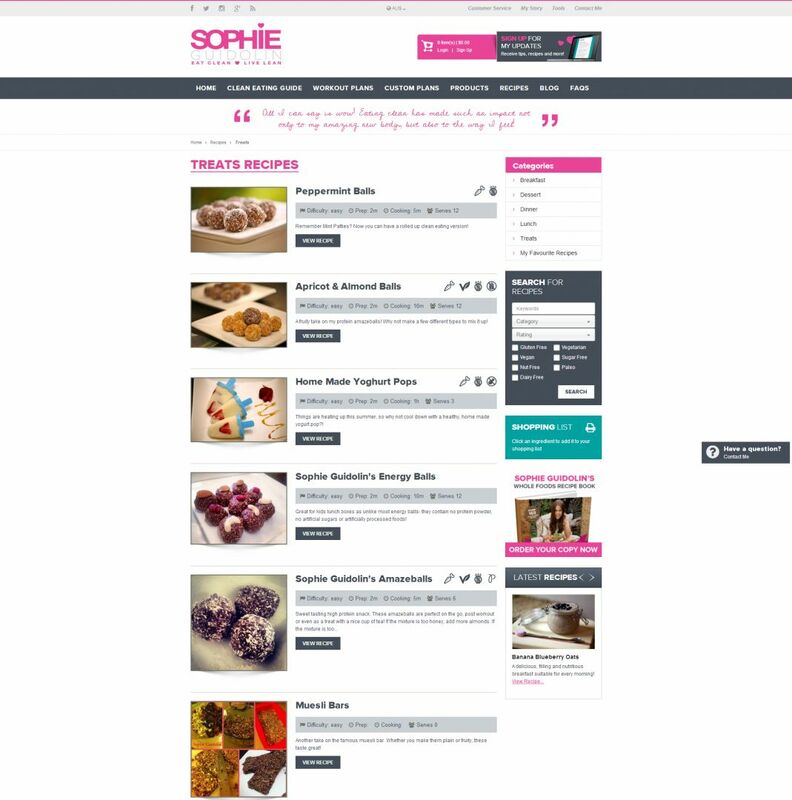 The product downloads are handled automatically to save Sophie time in the day to day running of her business so she can focus on her business. 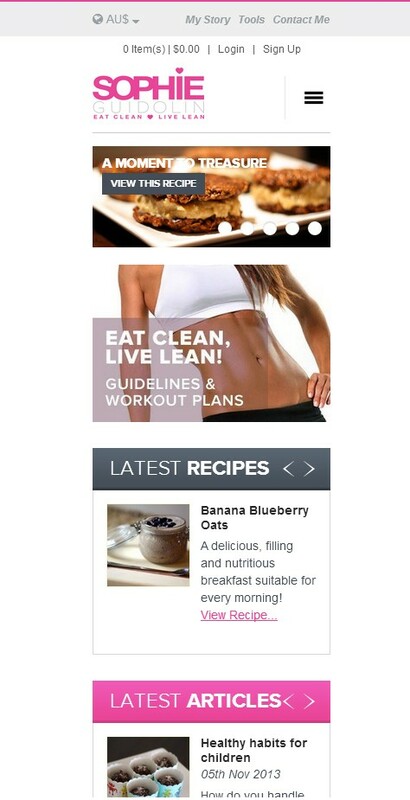 The recipe collection is packed with handy features such as saving to favourites & adding ingredients to a shopping list to allow her fans to recreate her amazing dishes as easily as possible. NBM also built a custom workout plans system so Sophie Guidolin can deliver her targeted training programs as quickly & easily as possible to her clients.